While Gold members raise quite a bit to assist in paying for tour and other expenses, that amount only covers a portion of the cost to take 150+ members down the road. With your help, we can continue to improve the corps so that we get bigger and better every year. Your donation would allow more young students to compete and by donating, you can help us become an even more successful organization that can lead more and more members to achieve success. Please see below for ways to donate. Online donations are accepted through PayPal using the secure PayPal Donate button below. All major credit cards are accepted, processed through the donate button below. Sponsor a meal during the 2019 tour! You’ll receive recognition in front of the members as your meal is served. 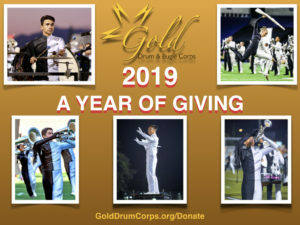 Please visit GoldDrumCorps.org/Meals to donate! Gold Youth Arts Organization, Inc. is a 501(c)(3) nonprofit based in California. If you are in need of a receipt for tax return purposes, please include either your mailing address or your email address so that one may be sent to you. Please consult your tax preparer to determine the extent to which your donation is tax-deductible. 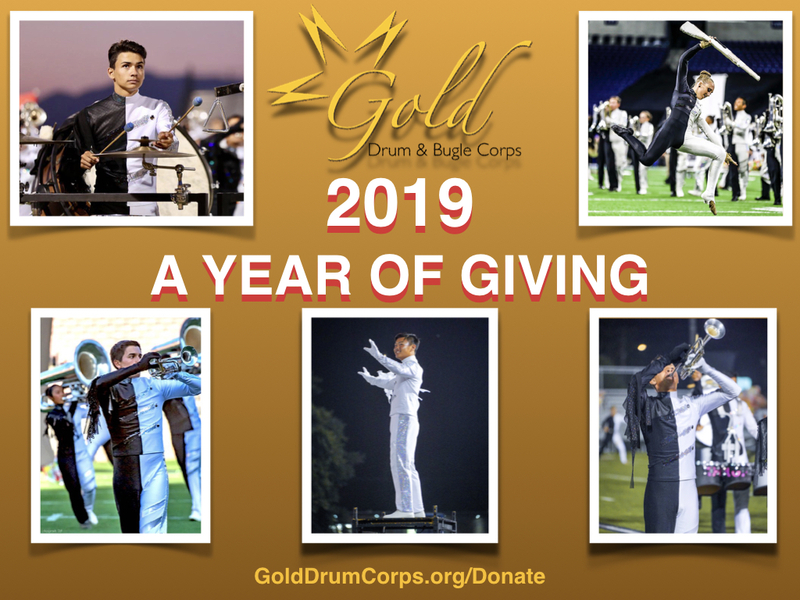 For further information on how you or your organization can support Gold Drum and Bugle Corps, please contact our Executive Director Donald Flaherty at dflaherty@golddrumcorps org. We thank you in advance for your support of the marching arts.